TV2 Radio Denmark rebranded as Nova FM on September 8, 2008. They took the Heart London package from IQ Beats via Music and Images for their new imaging. Nova FM Denmark — Never heard of it?! Could be because they are broadcasting for the first time on 8 september 2008. 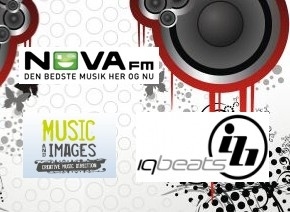 Nova was formerly known as TV2 Radio Denmark and will be playing todays hottest Music but also oldskool classics. For their new imaging they found the right package at Music and Images and IQ BEATS : HEART FM London. IQ BEATS main producer Steven Scalfati even flew over the big ocean to record in Copenhagen with the vocalist. The result – it’s getting boring – is again amazing! Thanks to Music and Images, www.JingleDirector.nl and IQ Beats.